So turns out the boy being on gardening leave is rather nice! Amazing food cooked every night, cleaning and washing done - I could definitely get used to this. Especially as on Friday he made cocktails and cooked for some friends of mine which was so lovely after what seemed like the longest week ever. Not sure why the last seven days have dragged on quite as much but they have but it was definitely a nice way to end the week. Luckily this weekend I have been spoilt with good food, brunch at M1lk with the girls again (post of my food last week here) and a house party last night. The sun is also shining so that is always nice. I think when the sun is shining England is such a wonderful place as everyone really makes the most of it and are so happy! I have also included some old photographs of my horse, a bit random I know but last Sunday I went to see her as a girl is looking after her for me (rent in London and a horse is far too much on a teacher's salary!) and it made me miss riding so much. 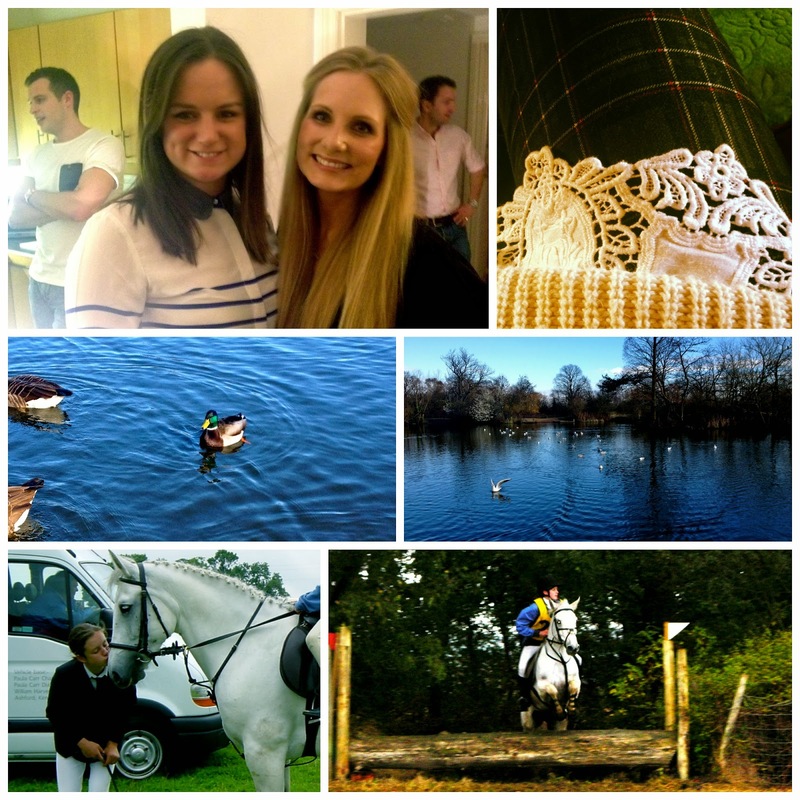 Photographs: Photograph from the house warming last night // tartan and lace // snaps from my run, these photographs haven't been edited // missing my horse! Posts this week have included: Indeed Labs Hydrolauron; Morning Skincare Routine; Vichy Normaderm Hyaluspot & What's in my makeup bag. Favourite post: I have recently found Rocio's blog Let It Be Cosy and I absolutely love it and don't know how I haven't found it before. You should definitely check it out as it her posts are just beautiful. Favourite product: Favourite product this week has to be the Bourjois Healthy Mix Serum foundation. Belle posted about her love for a Bourjois foundation, here, and it made me rummage through my stash to and I found this. It used to be my favourite base but it has been rather overlooked recently but I am so glad I have found it again!